A Scottish Euro MP has called for over €1bn of funding for UK windfarms to be switched off. In a debate in the European Parliament in Strasbourg, Struan Stevenson, Conservative, told Philippe Maystadt – president of the European Investment Bank (EIB) – that the funding of industrial wind developments is "an unfolding financial scandal" that the EIB should no longer support. In the debate on the EIB'S Annual Report on Thursday 7th April Mr Stevenson said: "The EIB is providing up to €1bn for the construction of wind turbines and other renewable energy projects in the UK. While this fits neatly within the EU strategy to fight against climate change, I am alarmed that the current criteria governing EIB funding lacks transparency and accountability when it comes to examination and due diligence of the projects concerned. “€6 billion is being provided for wind farm developments across the EU according to Mr Maystadt. But the EIB simply accepts the applications for funding from the governments concerned without scrutiny. I do not think this is good enough. 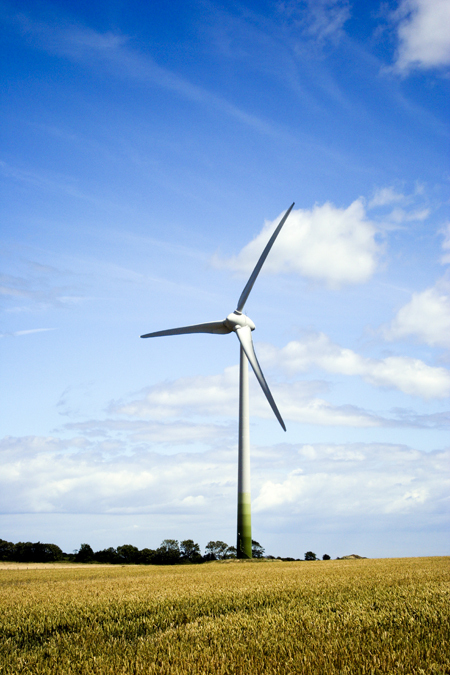 "Renewable energy companies in the UK claim that their turbines have a load factor of 30%. In fact, over the whole of last year, their load factor was only 21%. They do not work when the weather is coldest and demand for electricity is at its peak. They are not economically viable and will double or triple electricity prices for consumers while failing to cut CO2 emissions. This is an unfolding financial scandal and the EIB should stop funding wind energy projects." In his reply to the debate the EIB President said: "We can only fund a project after it has been given the green light by the European Commission, which conducts full scrutiny of every project. We employ over 100 engineers and specialist consultants who are experts in energy efficiency and this is expertise which we must exploit."